In the wake of yet another massive data breach in the US (the Internal Revenue Service in May, the Office of Personnel Management in June and Ashley Madison in July), and considering the prevalence of identity theft across the globe, both the public and the private sector need to step up the security of customer data, specifically across digital channels. While the Protection of Personal Information (PoPI) Act quantifies what a data breach will cost an organization (up to R10-million in fines and possible jail sentences), Gatherer says the financial knock-on effect for the business and the affected data subjects will be much more than that. And once the Regulator is appointed and the Act becomes enforceable, he points out that those organizations with relaxed document security are at risk of being on the wrong side of the first civil class action. Gatherer also encourages organizations that utilize a 3rd party vendor or application to commission an independent review on the security of the electronic documents they send out. “If your customers are trusting you to protect their personal information, then you need to be 100% sure your document security is not vulnerable. 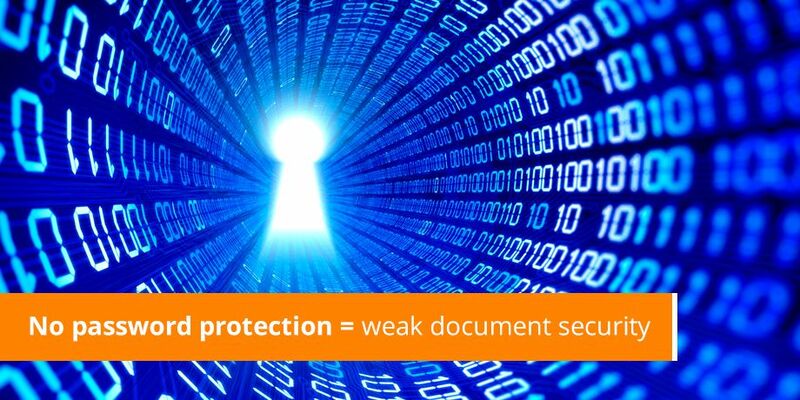 As the leading email billing provider with a significant footprint in South Africa, we advocate the implementation of tighter electronic document security across the industry,” says Gatherer.